You really don’t realize how important it is to have some miscellaneous tools around until you need to tighten a screw or hang up a picture. This is why we’ve put together a quick list of some tools that will make sure you aren’t left in the lurch when it comes to hanging some of your favorite photos. It’s a good idea to keep a small tool kit around your apartment that contains just a few basic items. However, you should always notify your landlord before doing anything major around your apartment. This doesn’t include changing a lightbulb or tightening a screw here or there, but it will include things like fixing a door. It’s always best to let your landlord know before you fix anything yourself; you should not take matters into your own hands unless you know what you are doing and you’ve gotten permission. Having a really basic toolbox is a really great thing to have in any apartment you rent; it will definitely come in really handy whenever you need to fix something small. Just be sure that before you do anything major, you check with your landlord first. As we’ve mentioned in our previous posts, renter’s insurance is a great way to make sure the unexpected is covered. However, it can be a little overwhelming figuring out where to start. It’s doesn’t have to be too hard, though. All you have to do is shop smart and find a policy that fits what you need. The first thing to do before you even start searching for the right policy is to inventory your place. You should put together a list of all the things you have in your place (at least those things that you would want covered by insurance), including their values and serial numbers. This will help you figure out how much coverage you will need. You also want to take photos of the items and of your place as it is now. You may even want to videotape a tour of what your pad looks like. This way you will have visual evidence as to the current condition and items you have. You may also want to consider how much you want to pay per month and what your deductible should be. Your deductible will be the amount you pay before your insurance company will contribute money to fix the damages or replace any items. You want to make sure that the amounts you choose are those that are right for you. After you’ve done your prep work, the next step is to start looking at some quotes that include the parameters you would like to have met. If the quotes you are getting are a little off, you want to figure out if that is something you could live with or not. You want to check around with a few different places too. The idea is not pick the first number you see. When looking at different plans and insurance companies, it is also a good idea to look at the terms they have for their policies. You want to make sure that they will cover what you need and on terms that are acceptable to you. After you’ve gathered all of your information, it is then time to compare the prices and the terms; figure out what will be best for you. After all, this is an investment. You may even want to talk to a representative (if you haven’t already) to clarify what they cover and how it all works. It’s also a good idea to talk to your landlord to get their input before making your final decision. When looking for renter’s insurance, it can be a little overwhelming. However, it doesn’t have to be too hard, as long as you shop smart and choose the plan that is right for you, you won’t lose out. It’s getting dangerously close to that time in the semester when your classes are going to end and you’ll have to take final exams. You certainly don’t want to go into this part of the semester unprepared. This is why we’ve put together some tips to get your prepped for the dreaded finals time. 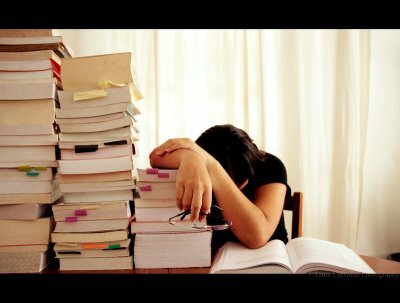 Study for the most difficult exams the most. You should avoid devoting equal time to each class, as not all your classes are going to be the most difficult for you. Divide your time up so that you’re expending the most effort on the most difficult classes. Study early and often. You want to avoid just studying for your exam the night before. It will not only overload you, but you also won’t retain as much information. According to Colin Gruenwald of Kaplan Test Prep, it’s best to stop studying 12 to 24 hours before the test, as you aren’t going retain new content and you’ll be much more stressed. Therefore it is best to start now (if you haven’t already) and to take some time each day to devote to studying for your finals. Alternate study spots. According to the New York Times, you should switch the locations where you study to increase retention. So instead of studying in the same coffee shop or in the library every day, try a alternating between a few different study spots. Get a good night’s sleep before the exam. Avoid staying up the night of the exam to cram. Like Gruenwald says, it isn’t going to help you, and it is really just going to stress you out more. It is best to get some sleep so that you’ll be bright-eyed and bushy-tailed in the morning. Take your time on the test. It’s best to pace yourself while you’re working on your exam. Try taking a break between sections or portions of the exam so that you don’t get too stressed or overwhelmed. It’s also a good idea to stay as long as you have to, and you can. Most people will tend to leave as soon as they have finished answering the last question, however, it is best to finish and then your review your answers before turning in the exam. We hope these few little tips help you with the dreaded final exam week. Just don’t forget to relax and breathe. Especially as a student, finding the right gift (and enough time to find one) for your friends and family can be difficult. Being on a limited budget makes the process even harder. This is why we’ve come up with a list of some inexpensive gift ideas to help you find that perfect gift for your loved one. A photobook. Photos can last forever, and this is why putting together a photobook of times with your loved ones can be a great gift for the holiday season. It can even be a conversation piece that you and your loved one can enjoy while looking at all of the photos you’ve included in the book. The DIY photobook is always a great idea as you can personalize it to the person, however, there are a myriad of services that will do it for you. Sites like Snapfish and Shutterfly make photobooks easy and decorative (even if you aren’t super artistically inclined). Board games. Board games are always a great gift, in that once the person opens the gift, you can spend the next few hours playing the game together. Holiday Tree Ornament. Holiday tree ornaments are a great gift for loved ones, especially those who you may be unsure what to get them. Hallmark makes a lot of great little ornaments that can easily fit the interests of any receiver. Homemade baked goods. They do say that the way to a person’s heart is through their stomach. Making your own homemade cookies or other baked goods for your loved ones can be a really simple and inexpensive idea. As a student, it can be difficult finding the perfect present for your loved one, especially with such limited time (you have to factor in studying for finals) and a limited budget. However, photobooks, board games, ornaments, and homemade baked goods are some really inexpensive ideas that will help you find the right present for this upcoming holiday season. If you’re living on a budget, it can be a little difficult finding inexpensive decorating for the holidays. However, we’ve found some awesome ideas to prep your pad for the holidays that won’t break the bank. These may bring you back to your elementary school projects, however, they can certainly make your place just a little more festive. All you have to do is cut out strips of paper and glue the ends together so that the strips interlock with one another. Hang these chains up anywhere and it will certainly get you into the holiday spirit. This was a pretty cool idea we found at Reader’s Digest. Simply by taking a strand of lights and a few thumbtacks, you can make yourself a tree right on your wall. It doesn’t even necessarily have to be a tree either. Maybe a snowflake or a snowman suits you better! This was a pretty cool idea we found. All you have to do is cut out a ring of cardboard in the shape of a wreath. Then glue wrapped candies onto the ring, and hang. Simply by taking ribbon and bows, you can wrap up your throw pillows to look like gifts! What Do I Do If My Roommate Steals My Food? You head to the fridge and notice that your milk is almost gone, that someone ate your chips, or that somehow your entire carton of ice cream has completely disappeared. If you know it isn’t you, there can really only be one reason why everything is almost/completely gone: Your roommate. The first thing to do is assess the situation. How much are they snagging? If it’s only a little, maybe you just want to let it slide. In a lot of ways, it’s not worth confronting your roommate over a few chips. However, if it is a constant problem, or they are stealing all or almost all of your food, it’s really time to say something. Like with many other situations with your roommate, it is best to speak with them about any issues rather than not saying anything or just letting things slide. This is because your roommate won’t know that what they’re doing bothers you, whether you think they should or not, and it will just make you more and more upset as time goes on. It’s also not a good idea to immediately confront your roommate about any situation like this. In most cases you will say something you don’t mean, and your roommate may react poorly. Therefore, it’s best to plan out what you’re going to say before you say it and figure out a good time to sit down to talk with your roommate. It’s a good idea to keep your talk about the behaviors that your roommate is doing, rather than attributing the problem to personality flaws. It also best to work on ways that you can both get what you want. Maybe the problem is that you two should be splitting the grocery bill a little bit more! Overall, handling your roommate stealing your food, or any other roommate problem, doesn’t have to be terrifying or frustrating. All it takes is a cool head, a plan, and a workable solution for both you and your roommate.